Do you struggle sticking to your workout routine when you’re on the road? Is vacation synonymous with ditching your healthy eating habits? Does your commute—and travel, in general—stress you out and lead you to make less than stellar choices? Do the demands of work leave little time for exercise? If any of this sounds familiar, you’re going to want to tune into this episode of the BioTrust Radio health and fitness podcast, as Shawn and Tim give you tips how to be more active, eat better, and de-stress when you’re on the road. Shawn: Welcome back to BioTrust Radio. This is Tim and Shawn and we’ve got a pretty cool topic here. You know, this is one we get questions about throughout our lives, helping people how to be more active. Even on the new BioTrust VIP site on Facebook. You go to facebook.com or the app and type in “BioTrust VIP” and you’ll get there, and then you can ask us questions that we’ll address on the air. But this is one that has been asked many different ways, but when you are traveling; be it in the air, on the road, vacations, work, where your routine is upset, what are some tips on how to be more active? Or what do you do when you’re somebody that’s just in the car a lot like a police officer, EMT, whatever. Sometimes you just stop at like whatever’s most convenient. You don’t have a lot of time. You can create and reinforce bad habits and it’s very easy to do that because you’re not in your comfort zone. Sometimes you’re just out and you need something quick, and that can happen at the airport, on the highway, at the hotel. It’s so easy to get out of rhythm. And if you’re doing this several days in a row, weeks in a row, months in a row, years, and a lot of problems can arise. So I’ll ask you, Tim, because you work with a lot of clients as a personal trainer and nutritionist. What do you think about, let’s first address maybe the people that are in the car a lot; the salesperson, the EMT, the police officer. First off, they’re sitting and sedentary, or a truck driver. They’re in the vehicle and they’re sitting a lot, potentially. How can they make healthier decisions? What are some ideas on how to be more active? Tim: Yeah, I like how you separate it out, because I think it’s a different approach. So, we’ve talked about this before, like how detrimental sitting can be to your health. And even how regular exercise—like an hour or so of exercise a day, just for instance—can’t fully combat the detrimental health effects of sitting for prolonged periods of time. Again, like you said, for maybe a patrol person who has to sit in the car or a truck driver? Literally, that’s their job, to sit there in the vehicle. It becomes difficult to mitigate that damage, but you just do what you can when you do have the opportunity to stop and pull over, get out, move around, walk around as much as you can. If you’re a salesperson looking for ideas how to be more active, rather than maybe sitting in traffic, maybe take that time where you would probably not be getting very far anyway, take that time to maybe schedule some exercise during that time, in an area of town that you’re in, to do some exercise. And before your work day, after your work day, try to increase your movement. Whatever your occupation is, here’s an easy way how to be more active. When you do have to go somewhere and you do park, park further away from the door where you have to go into. Some things like that to potentially increase activity and be more active. We’ve talked about fidgeting before. Even though you’re in the car and even though you’re sitting there, do your best to not sit still. So, with your left foot that’s maybe available—unless you’re driving a manual vehicle—maybe you can tap your foot a little bit, maybe you can just move around, put some good music on and get your body moving. But also, we’ve talked about this before, instead of passively sitting there, focus on how to be more active with your sitting. Again, this is more for someone who’s driving an automatic vehicle and has the left foot available, you can push your foot into the floorboard and actually start activating your glutes. Tim: I mean you don’t even need to push your foot into the ground. You can start activating your glutes. Just start to do little mini contractions with your muscles throughout your body. Not only is it an exercise in mindfulness, but actually the activity of the muscle is going to be metabolically active, can help your body use some of the sugar that may be circulating in the system. So those would be some tips for how to be more active when you’re sitting there. Shawn: A friend of mine, David Vobora, who’s the ex-NFL player who runs the adaptive training foundation here in the Dallas area. He works with military athletes and wounded warriors, in particular. Really cool stuff. But when I visited him, he told me to use one of those hemorrhoid donuts that you can put it in your seat. Obviously, he didn’t have hemorrhoids, but he said that it’s what you’re talking about. It kind of gets you to stabilize back and forth throughout the day, like you’re moving and your glutes are more active. You’re doing things to adjust consistently. So I think that’s actually some good advice for how to be more active that you could do instead of just passively, like you were saying, sitting there for these people. Tim: Yeah, that’s a great one. I hadn’t even heard of that one before, the donut, because I work at a standing desk all day and I have one of those activity mats that I stand on. Tim: One of the reasons that I like it is because, without even having to think about how to be more active, it encourages me to shift my weight around and to not stand still, because standing still is probably just as bad as sitting still, any kind of being still. So any kind of movement, any kind of movement would be good that you can do. That’s from a movement standpoint. And certainly, even though exercise doesn’t counteract sitting, making sure that you’re scheduling exercise is important. Shawn: What about the stress aspect? I mean, driving an 18-wheeler, that can be extremely stressful. Shawn: You might go the wrong route, you might have a time constraint, there might be traffic, and all kinds of things. I mean, it’s very stressful. And then certainly, like being a police officer or someone in sales. You’re getting calls all day long; you have to be here, you have to be there. A police officer might be putting his life on the line. There’s a lot of threatening situations. So, wouldn’t addressing stress with some certain techniques be helpful as well? Tim: Yeah, those are great points and really clear examples. I have the chance to work remotely, most days I work home, so I don’t have to deal with it. But I live in Austin, Texas, where there’s a ton of traffic and I know that just that little bit of time that I do spend in the car when I do it can just drive you batty. So I would completely agree that those things can all upset the balance. But, you know, you have things like meditation or deep breathing activities that you can do to help really modify your body’s stress response. Those are things you can do while you’re sitting there in the car. And meditation doesn’t have to be like, you don’t have to be a Buddhist monk. Tim: Just being aware of yourself, your feelings, your thoughts, and just that awareness can help bring things back. Shawn: Exactly. I used the Headspace app. That taught me that so well, that I was thinking, because I have such a hard time. I’m a high-performance individual. I try and get the most out of my life and I’m very driven. So it’s hard for me to just “ohm” and just de‑stress and zone out and be quiet, and be quiet with my thoughts. Usually like when the lights go out at night, that’s when my brain goes haywire. Shawn: I think you’re more “in control” and you’re more “aware” and that’s putting you in a different mind state. Shawn: So, if someone cuts you off, it’s not about you. Why are you letting this eat you up for many hours, potentially? Shawn: You can you can affect your mind state for hours by just getting angry over something. Just let it be. It is what it is, and move on. And then I would also say like on the other side of the spectrum is the whole “gratitude” thing. Shawn: But at the same time, someone could be dead up there. Someone could be hurt up there in that accident. We should have gratitude that we are safe, we are well, we’re in a moving car, we have gas, we have this vehicle, we have a job. There’s so much to be thankful for that if you start thinking in that way, I think your stress levels will go down dramatically. And when your stress levels go down dramatically, you’re not going to fall prey to junk food and sodas, and candy, and cigarettes, and alcohol, and all these kinds of things that are trying to make up for the way your brain is hyperactive and stressed and feeling where you make those quick decisions, those impulsive decisions. Tim: Yeah. I love how you talked about that, Shawn, because we’ve talked about mindset before and how we view events and things like that now we view stress, and just the way that you brought that all together was really important. And I liked how you said you let this stress eat you up. I think one way, in my mind, that I think about that is that stress can be very distracting if we allow it to be. So let’s use distraction, in turn, to help us not think about the stress as much. What I mean by that is for me, if I’m sitting in traffic for instance, all I’m doing is thinking about the traffic and how much of a waste of time it is. That makes things worse and I’m not getting anything out of that time. So why don’t I try to use that time more wisely? Tim: So, for me, if I’m in the car now, I’m listening to a podcast, so I’m getting something out of it. In fact, I listen to BioTrust podcasts. Shawn: Yeah. There you go. Or call a relative. Something like I’m going to use this extra 45 minutes that I have in the car to, like you were saying, do something productive. Shawn: To reach out to a friend or family, to listen to a podcast, educate yourself, zone out to some classical music. Whatever it is, use that opportunity and de-stress. Shawn: You have an opportunity. It’s whatever environment you want. Happiness is a choice, it’s not a destination. So you have to make the choice to be happy and live in the moment and enjoy what life you have. There’s so many people that are in such a worse and more dire situation than whatever you think is really breaking you down that day. Shawn: I can almost guarantee that. So that’s definitely a great mindset to be in. But let’s go to like people vacationing or traveling that are in the airplane where there’s a lot of junk food, that they come out of up and down the aisle with. When you’re in the airport, it’s filled with fast food and junk food and little convenience stores. When you’re at the hotel, the hotel’s filled with junk food and there’s usually restaurants right around the hotel that are, guess what, filled with junk food. So, what are some ideas on how to be more active with healthy eating habits? Not only for nutrition, but supplementation and exercise. What’s some good practices maybe when your schedule is upset and you’re kind of out of your normal environment? Tim: Yeah, this is probably pretty relevant to a lot of people. I think we can even start with mindset on this because I do think that a lot of people automatically chock up mentally that things are going to go bad, if you’re going to get away from their routine and their good habits when they do travel, when they’re out of their normal routines. So I think that you have to mentally commit to doing the best you can, but also realize that it may not be the same. The best that you can do may not be the same as your normal routine. So, setting appropriate expectations is probably pretty important, but it takes some programming, some planning. Just like you have to take some time to think about what you’re going to pack in terms of clothes, you need to take some time to think about how ideally this is going to look, realistically. What is good nutrition going to look like on this trip for me? What is exercise going to look for me? But what are some ideas for how to be more active? Maybe I’m not going to be able to go to the gym for an hour, but we’ll talk about some strategies that you can use. Shawn: Take five or ten extra minutes and pack your supplements. If that’s part of your daily routine and you didn’t take the time to do on your trip, like do whatever you can to get your routine back established. Tim: Right. Prepare yourself for success. I do think that healthy eating, overall, is becoming a bit more acceptable, so I think there are more convenient options. Tim: And along those lines, I think it requires doing some homework. So, if you have the opportunity to choose where you stay in terms of a hotel, can you choose a location where there’s relatively healthy restaurants around, because there are some good options. Tim: So, can surround yourself with an environment that’s conducive to your eating habits. Can you stay in a hotel, or even now, rent a house where you have access to a kitchen so that you can go buy your own food and have it available for you to eat. Maybe you don’t have to cook all of your meals while you’re on vacation or something like that. Shawn: You can actually have Amazon Fresh delivered to the hotel. You can order your food ahead of time. You can just do that with like for me keto, like I might have macadamia nuts and a lot of vegetables or whatever delivered to the desk at the hotel. But if I have a kitchenette, then that’s another level. Then I can actually, like you were saying, prepare some meals. And again, just have that delivered and do your own meals. It’s more satisfying. It’s going to be cheaper. Tim: And if you’re used to doing that at home, it’s probably easier for you to do that, and less stressful than figuring out what I’m going to order at such-and-such a restaurant or putting yourself in an environment where you would make bad choices or choices that don’t align with your priorities. And then, like you said, pack your supplements. If you know that you’re going to need XY&Z supplement, put them in a little baggie and take them with you. You can even take your protein powder, like BioTrust Low Carb, for instance. Put a few scoops in a Ziploc baggie and pack that with you. I’m not a huge advocate of using protein bars all the time or those types of things, but that’s a perfect time to take them with you. Especially because once you get to the airport, you don’t always know how travel is going to go. Is it going to go according to plan? Are you going to be there longer than you expected? So, having some of those convenient health foods, lots of nuts. You can just find like fruit and things like that at the airport, so you can get things like that there. You obviously can’t take a lot of food these days with you on the airplane, but packing those types of things that you can with you to go is a good idea. Shawn: So what do you think about how to be more active when you’re on the road. Now, some hotels have little gyms, big gyms, a pool. Maybe the weather’s decent outside and you could walk. Some of them have nature trails. Then there’s different options, maybe to take some things with you. Shawn: Like maybe some push-up handles or some resistance bands and things like that. I mean, but what do you think is the best approach there? Tim: Yeah, I think it depends on how much time you have available to you and how long you’ll be there and things like that. Another thing, just like putting yourself in close proximity to restaurants, if you’re the type person who needs to go to a gym, then find a gym nearby and see if you can get a guest pass for a day or if you’re going to be there for a week, get a weekly membership. Again, how to be more active starts with positioning yourself for success and spend a little bit of time ahead of time to find out where you need to be for that purpose. I’m the type that in 5 or 10 minutes, 20 minutes, I can just get something done in the hotel room. Like we talked about on previous podcasts, just doing bodyweight exercises like Tabata workout type of stuff, using the resistance bands. I pack those with me wherever I go. You don’t need the door, but you just slip it in the door and you can do some different like pushing and pulling exercises. Shawn: Or the TRX bands, you could bring too. Tim: Exactly. I like to explore. I like to be outdoors and I like to explore. So, walking. It’s not like a huge intense exercise, but you certainly can find ways how to be more active that way and you certainly can explore areas that you’re at. Shawn: Another thing that happens during this exercise is you’re de-stressing and you’re not eating. Shawn: And some of the other problems, and we’re addressing those with the exercise. When you’re sitting in your hotel room and you’re just watching TV, and you’re literally alone and you think you have no options, what are you going to do? Especially, let’s say, if you’re in Vegas and you have that refrigerator with all the candy and chips. That’s getting more and more common because they’re just preying on you in your room, which is brutal. Tim: Well, it’s that convenient thing we talked about. Tim: We want to make healthy eating more convenient and unhealthy eating less convenient. Tim: But if food is there, by and large you’re going to eat it. Shawn: It’s tough. Exactly. So, that probably goes back to planning that out, knowing what’s in the room. You can call someone at that desk and say, “What does it look like in the room? Do you guys have junk food in the room? What’s your gym like? Is there a nice gym nearby? Do you have walking trails?” All these kinds of things. The restaurants, like you said. Doing that little bit of homework ahead of time. You probably did homework to find the best price on your flight, the best price on the hotel. You checked on what the weather’s going to be, you planned out how to pack, but then you’re going to leave like all these other things just dangling in the wind, and you’re leaving yourself open for impulsive decisions. Tim: Yeah, exactly. Again, we talked about the convenience thing. Another idea how to be more active, and again, this depends on where you’re going, but these days a lot of places have bicycles that you can use to get around town. So, just consider your method of transportation. If you’re in more of a metropolitan area, try to walk, try to ride your bike more places and rely less on a vehicle; whether it’s a rental or Uber or whatever. Just be more active in going place-to-place. So that way, you don’t have to worry about maybe as much structured exercise if you’re just being more active overall. Shawn: Yeah. And if you’re in a metro area, there’s a very good chance that there’s a gym nearby. Shawn: So, it may be a little harder, let’s say, if you’re in New York City, to get a workout in at your hotel. Maybe there isn’t a gym and your room is super small. It could be like a little locker, essentially. I’ve been to some rooms in New York City that are like that. But chances are within a mile or two there’s a good hotel and you can just Uber over there. And you’d be surprised, instead of sitting in your hotel room by yourself watching TV, feeling bored and then falling prey to whatever junk food you can have delivered or that’s already in the room or at the hotel desk, you’ll be around other people, doing something positive and constructive, burning off that stress. Then taking a shower, having a good reset. If you’re someone that works out regularly, this is like bringing your routine back to you and putting your world back together. Shawn: That can be helpful. Tim: Yeah, and just a couple other ideas that come to mind. If you experiment with fasting, maybe this is a good opportunity to have a little bit of a longer fast period. So that way, if you do tend to indulge a little bit more, if you have a dinner, let’s say that you’re on a business trip and you have a dinner where you don’t really have many choices except to eat rich calorie-dense foods. Obviously, eat mindfully and try to control as much as you can and don’t over-drink or anything like that. But if you do, maybe you skip breakfast the next day. Tim: Just a little damage control. I don’t think there’s anything wrong with it in an instance like that. If you’re traveling across time zones, like we’ve talked about before, fasting may actually help you adjust to that time zone better as well. Shawn: Yeah, I’ve actually, because of what you’re talking about, sometimes I come back a little leaner from trips. And you’re right, I’ve done that before, like when you have to go out to eat with the team and maybe someone’s ordering for you or it’s a decadent place. It’s not all or nothing. Just keep that in mind. It isn’t like, “Well, I had this crazy meal at this restaurant and we had to have dessert, so screw it.” Like the whole rest of the trip, it’s candy bars and junk food and whatnot. Tim: The “what the hell” mindset. Shawn: Yeah, you don’t you don’t need to do that. It’s just. It’s okay that you had that meal. It’s one meal. It’s one meal out of 21 meals or whatever that you’re going to have, so you’ve 20 other meals, like what are you going to do. Like Tim said, you could just have a salad or some vegetables or whatever. You could skip a meal and you could throw in some more exercise, and it’s okay. Then you’re back on track. Everything’s fine. It’s easy, I think, when a lot of your schedule breaks down from your norm, that everything else can break down. So it’s just trying to re-establish some norms while you’re in a difficult situation or in a very different situation than your norm. Tim: That’s great Shawn, because we’ve talked about this before in setting appropriate expectations, and the same thing goes there. Actually, I know a lot of people on the exercise side of things that feel the same way. They think if they miss a single exercise session that they will lose all their muscle or will be out of shape, and it just eats them up. Back to that whole eating up thing. Unless you get paid to work out—which some people do, very elite level athletes, bodybuilders—then that can consume you that much, I suppose. But for the average person, one missed exercise session isn’t going to make you fat. You’re not going to lose all your muscle. Just make sure you set realistic expectations for yourself. If you’re on a vacation, for sure, just enjoy it. Maybe find other ways how to be more active. Shawn: Yeah, I mean, I work out like five or six days a week and there’s times that I’ve taken a vacation and didn’t hit the weights at all, and just went the whole week and I came back and I felt kind of reinvigorated to get back in the gym. I didn’t lose anything. It didn’t hurt me. But it just depends on if you find that that’s a big stress reliever and you enjoy working out, then I would do that. Or just find whatever it is while you’re traveling that you enjoy, that keeps you from junk food eating, keeps you from feeling lonely, keeps you from dwelling on whatever it is that you’re on the road for. So like, if it isn’t the gym, like there’s pools at a lot of hotels, so do some swimming and then sit in the Jacuzzi and relax a little bit. That can be de-stressing. Shawn: There’s a lot of ideas how to be more active. It doesn’t have to be two hours on the treadmill at the Sheraton. Do something that you enjoy, especially if traveling is stressful for you. Then just find something that you enjoy that isn’t just sitting alone watching TV and munching down on all the chips and candy that’s in the room. So, that would be my advice. And I think that’s it for our show. 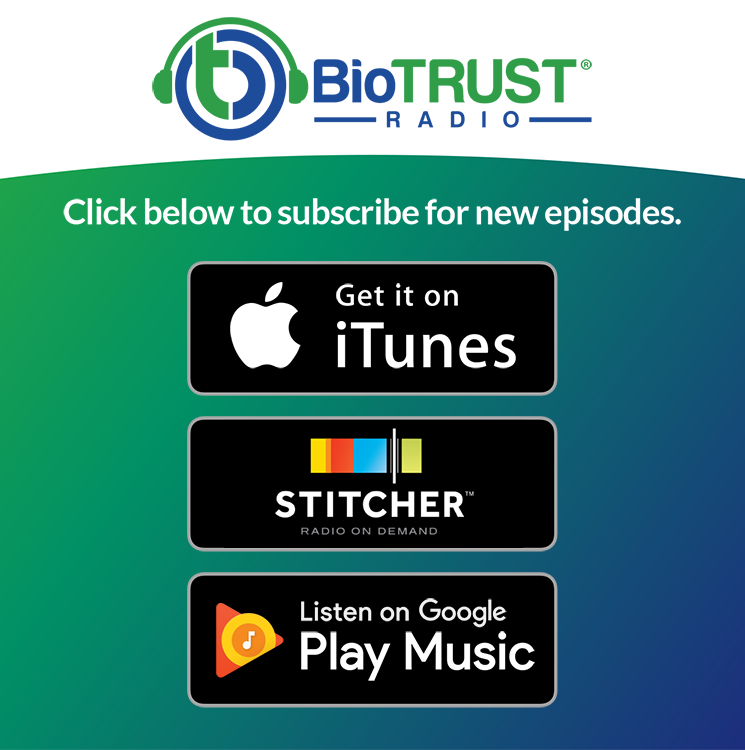 We really appreciate everyone listening to BioTrust Radio. Tim and I have been trying to crank on the content. Hopefully you appreciate it. If you have some feedback for us, let us know on how we can make the show better. We’re trying to answer more of your questions and you can put those questions up again on the BioTrust VIP page. We’re here for you guys. Tim: Absolutely, thanks for everything, guys. We appreciate you. And like Shawn said, if you have a question for us, just head over to Facebook and search for “BioTrust VIP.” Request to join the group and then leave your question and we’ll try to answer it here on the show. Shawn: All right, thanks guys.